Are You looking For A Speaker in 2016? My theme for 2016 is The Year of The Dream! I know you have one and I’m thinking it’s about time to see it come true! Right?!! All the while I am decorating my tree and making plans for family gatherings over the next few weeks, in the back of my mind–I’m DREAMING! It’s just how God wired me and it’s OK! The last 2 years have been a bit of a blur in my life in terms of actually creating a LIFE PLAN. Instead, LIFE just kind of PLANNED ME. In 2014 I transitioned out of a lifelong ministry; moved into a new home (after 20 plus years), watched all 3 adult children pack u-hauls, making me and Honey empty nesters for the first time, and wrote 2 BOOKS! A Surrendered Life and Life Unstuck both published by Baker-Revell. There were MANY times I wondered if I would make it through that year. This past year was pretty much all about trying to get those 2 new books out into the world. Lots of social media tutorials and time sitting in front of Facebook, many major media blessings which involved a good bit of travel–including Life Today in Dallas and Focus on the Family in Colorado Springs. OMG!! Hence–“The year is a bit of a blur” as well. BY THE WAY–IF you haven’t bought my book, and much to my surprise, millions of people have not 🙁 I would be eternally grateful if you would consider it as a Christmas gift to yourself or someone else. Here is an easy link! 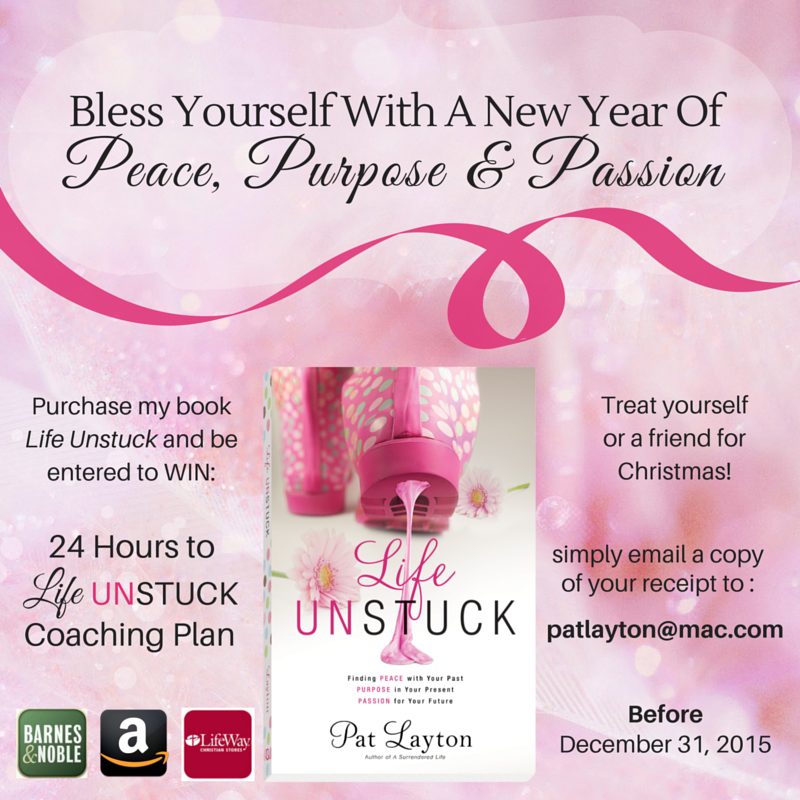 Life Unstuck: Finding Peace with Your Past, Purpose in Your Present and Passion for Your Future! SPEAKING of having Passion for Your Future…..
Today–I want to share my excitement about being part of THIS AMAZING TEAM!! I am thrilled an honored to be amongst the team of Speakers represented by none other than Nashville’s own–GOA Speakers Bureau. 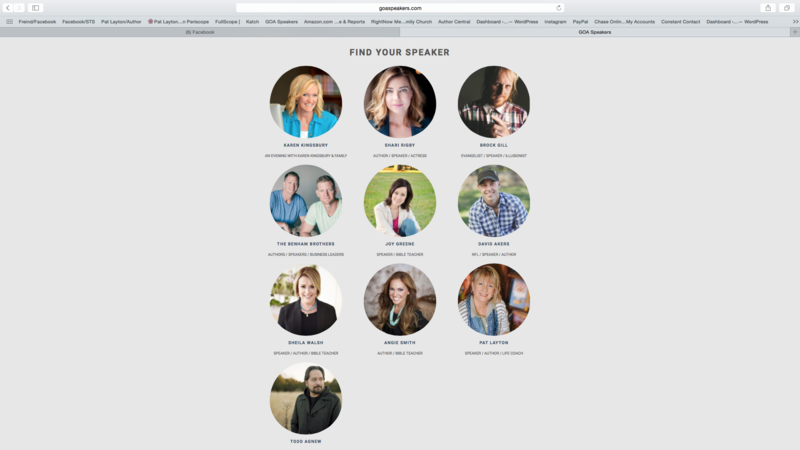 If YOUR 2016 has need of a great speaker (ahem) please check this team out! I would love to come to your event next year! And while you are on your computer–buy a book PLEASE!! !